Home / D. Scott Finelli, M.D. Dr. Finelli was born in Washington, D.C., and received his Bachelor of Science Degree from the University of Maryland. His Medical Degree is from the University of Maryland School of Medicine, Baltimore, Maryland and he completed his internship, residency and fellowship in Gastroenterology at the University of Florida School of Medicine in Gainesville, Florida. 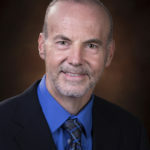 A Diplomate of the American Board of Internal Medicine in Internal Medicine and Gastroenterology, Dr. Finelli been in private practice in Pensacola since 1988.